So what does this mean? What’s your average weekly wage if you’ve been injured at work in Maryland, and what’s the difference between that and the “average Maryland weekly wage”? In this blog article, we’ll explain these concepts and why they matter for injured workers in Maryland. A simple definition of your average weekly wage would be “the amount you make in a typical week.” Of course, like most things having to do with workers’ compensation law (and the law in general), average weekly wages are a little more complicated than they seem at first. The passage quoted above from the WCC, for example, refers to two different average weekly wages: the employee’s average weekly wage and the average Maryland weekly wage. It’s important to understand the distinction between these two figures. Your average weekly wage (AWW) is a measure of the amount that you typically make in a week before taxes or other deductions, according to the WCC. The WCC bases this amount on your average earnings over the 14 weeks prior to the incident that left you injured or ill, including paid vacation and sick time. If you haven’t been on the job for 14 full weeks, then your AWW is based on the weeks that you did work during that timeframe. The average Maryland weekly wage is a static figure that the Maryland Department of Labor, Licensing, and Regulation (DLLR) calculates each year and provides to the WCC for use in benefits calculations. It represents the average weekly wages during a given year for all workers statewide who are covered by Maryland unemployment. For 2016 claims, the average Maryland weekly wage is capped at $1,027. In general, your AWW determines the amount of your benefits up to the average Maryland weekly wage, which serves as a cap. Why 14 Weeks for AWW? 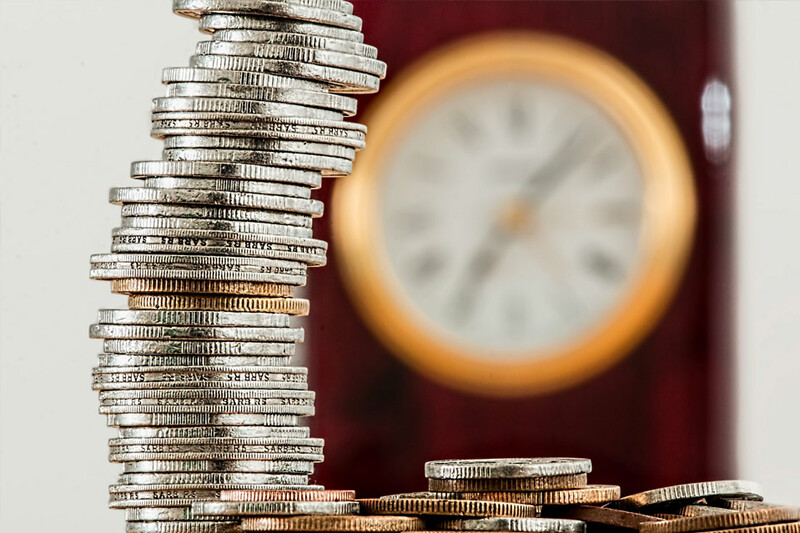 The WCC uses your average weekly wage over 14 weeks for benefits calculations to try and normalize its picture of your wages in case the week before your injury wasn’t typical. For example, perhaps you were out sick in the week leading up to your injury and only worked half your normal hours, or maybe you worked an unusual number of overtime hours. By calculating your average wage over the last 14 weeks, the WCC tries to keep these types of unusual circumstances from skewing its calculations one way or the other. Of course, 14 weeks is still a small and somewhat arbitrary window in the career of an injured worker. If the 14 weeks leading up to your injury were out of the ordinary for you — for example, if you had to take an extended unpaid vacation — then your AWW still might not accurately reflect the weekly earnings that you’re used to. Since your average weekly wages determine the benefits available to you in your workers’ compensation claim, it’s critical to work with an experienced workers’ compensation attorney who understands all of the various issues that factor into properly determining your AWW. When you work with the Pinder Plotkin Legal Team for your workers’ compensation case, we’ll go over your situation carefully and make sure that the WCC understands all the relevant factors that should determine your workers’ compensation benefits, including bonuses, vacation pay, and overtime. In addition, we have seen some unscrupulous employers who, when an employee has just started working and is injured during their first few days on the job, will try to average out those four or five days over the entire 14-week period to decrease average weekly wages. Such a miscalculation of your AWW could have a major impact on your benefits, which is why it’s important to hire an attorney who can properly defend you against these kinds of tactics. If you or a loved one has been injured while on the job, please get in touch with the legal team at Pinder Plotkin. Our office has tried hundreds of cases before the Workers’ Compensation Commission, and other firms frequently refer cases to us because they trust our knowledge and experience in fighting for our clients’ rights. In addition, our fee policy ensures that you only pay fees and expenses if and when we achieve a recovery on your behalf. Please call us today at (410) 661-9440 or fill out our online contact form to receive a free consultation regarding your case.